When quality directly affects human life there is no room for error. The pharmaceutical market requires the most demanding vision systems that not only inspect products, but also audit the systems use and configuration, ensuring the correct drug and dose are delivered with full traceability. The software of our partner Perception Park allows the use of hyperspectral imaging in industrial applications for the first time without special expert knowledge in chemometry or spectroscopy. Hyperspectral imaging means that the chemical properties of materials are identified and thus differences in the materials can be analysed. Watch this video and learn how it works. Securing Japan Quality for tablets in blister packs is a real challenge for the pharmaceutical industry. Scanware has developed Lynx-Spectra HR, a fast and very precise machine vision system to fulfil highest requirements on product purity in blister packs. Ricoh has added the new FL-CC-MX series to its existing range of lenses for 2/3” 5 megapixel cameras. These high-performance lenses with 12 and 16mm focal length versions provide high resolution, high contrast imaging with low distortion across the entire sensor, ensuring accurate measurements at the periphery of the image as well as at the centre. STEMMER IMAGING AG is now marketing the Teledyne e2v high-performance line scan camera portfolio, including the entry level UNiiQA+ and ELiiXA+ series of multiline CMOS cameras. A new 3-CMOS area scan camera combines the accuracy of prism-based optics with the image quality provided by Sony Pregius IMX265 colour sensors. The prism separates incoming light into red, green and blue wavelengths, which are directed onto the three precisely-aligned sensors. This allows the JAI APEX AP-3200T-USB to deliver better colour fidelity and spatial precision than traditional Bayer colour cameras. Witten-based OCS GmbH is one of the world’s leading manufacturers of production-integrated film inspection systems. Up to ten cameras operate side by side in scalable systems enabling production speeds of up to 1,200 metres per minute. Machine vision components from STEMMER IMAGING make up the optical solution. 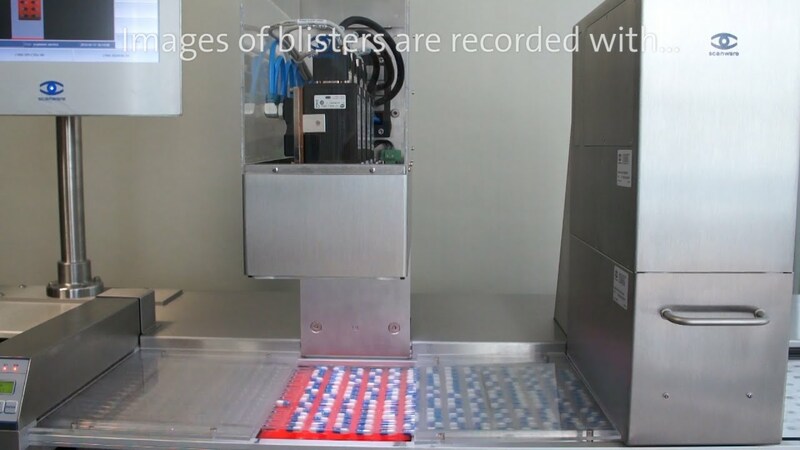 Scanware Electronic inspects tablets in blister packs after sealing with the aid of powerful machine vision systems. One of these, the Lynx Spectra HR, developed in close cooperation with STEMMER IMAGING and utilising up to six watercooled 3CCD colour cameras from JAI, is an ideal system structure for use in a tight space.